Mayor Domenic J. Sarno, Park Commission Chairman Brian Santaniello, and Patrick Sullivan, Executive Director of Parks, Buildings and Recreation Management are announcing the City has been awarded by the Commonwealth of Massachusetts’ Parkland Acquisitions & Renovations for Communities (PARC) grant for the redevelopment of Emily Bill Park. 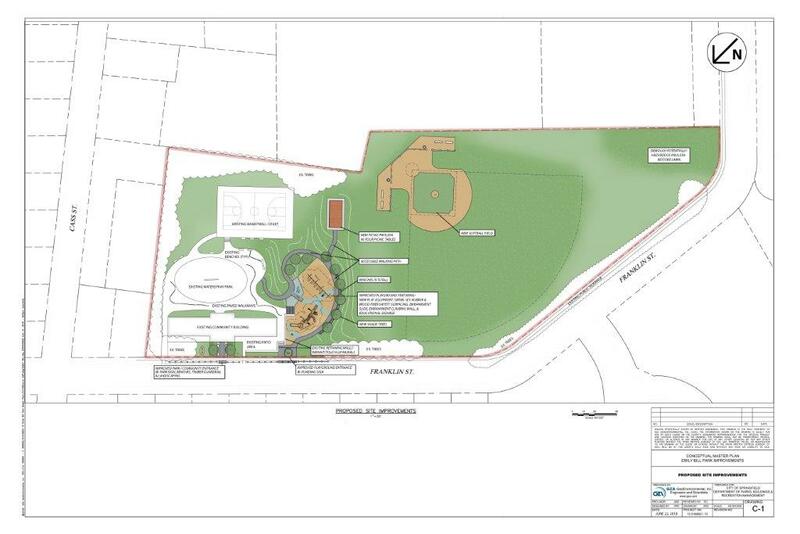 The project will greatly enhance the park with improvements to include accessible walkways, inclusive playground and swings, picnic pavilion, site amenities, field and landscaping improvements. The redevelopment will maximize the park’s opportunity for multigenerational and family friendly-passive and active recreational opportunities. The project will be funded by the PARC grant award of $400,000 and an additional $250,000 from Community Development Block Grant funding for a total project cost of $650,000. Design development will begin in February and the project will be bid for a construction start of July 1, 2019. The anticipated completion date is June 1, 2020. This grant is part of Mayor Sarno’s commitment, along with the Commonwealth of Massachusetts, to rebuild Springfield and generate improvements across the city. The City, in conjunction with the Lower Liberty Heights Neighborhood, has been actively seeking grant opportunities to renovate this park.